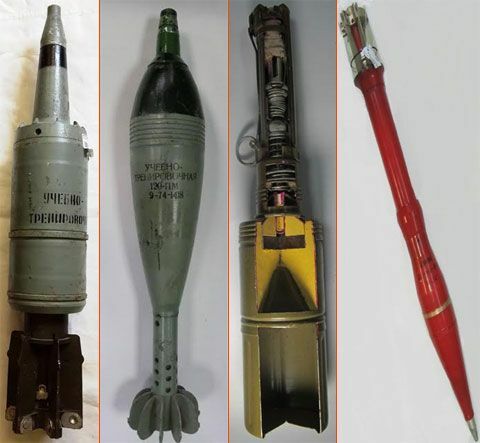 The so-called cache of weapons reported by Kyiv law enforcers turned out to be a legal warehouse of deactivated weapons and inert ammunition of Kyiv’s online shop Parabellum, where numerous state inspections had been held earlier, according to Ukrainska Pravda online newspaper citing shop owner Hennadiy Konev as saying. "They broke or CCTV cameras. Why do that? We would have shown them anything anyway. They’ve taken everything away. We have a witness – a guard, who was held at gunpoint. Everything was taken. We did not get a copy of a property seizure protocol, although we asked the prosecutor. 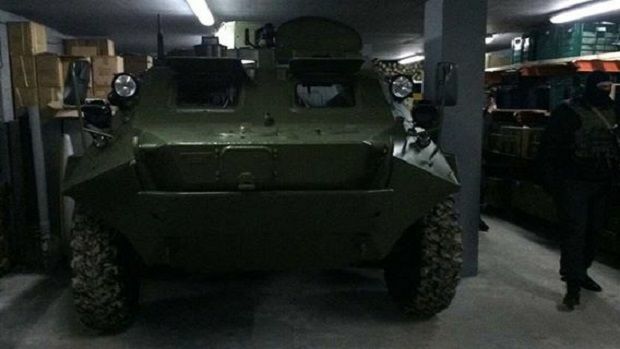 BTR [APC] is being checked again, although it has been legally registered for many years," said Konev, according to Ukrainska Pravda. The shop employee said all “weapons” stored in the warehouse are deactivated and bear no threat to people. "All the products have already been checked numerous times, they know it’s all been deactivated. According to the law, once cut, they are no longer called weapons – they’re just consumer goods. All these models are registered with the Expert-Research Forensic Center at the Interior Ministry. We also have papers on previous searches," said the employee. Read alsoAmmo cache found in central Kyiv on route of tomorrow's Defender Day marchShe added that all the goods presented on pictures taken by the law enforcers is officially sold in Historical Weapons shop in Kyiv and on the shop’s website. "On the website, you can see on each photo the marking "training".For each product there is a document confirming its deactivation, issued by the expert research forensic center," she said. The shop employee added that the goods were usually purchased by training centers, weapon handling schools, amateurs, film crews, and others. As UNIAN reported earlier, November 4, the prosecutors reported on the discovery of an underground bunker with a large arsenal of weapons, ammunition and an actual APC in the suburbs of Kyiv.